Choosing the proper bait to use when fishing is an important part of having a successful trip. If you load your boat or tacklebox with improper bait that won’t appeal to your target fish, you’re setting yourself up to come home empty-handed. The team at FishingLicense.org suggests that every fisherman do his or her research on the locally targeted fish. Knowing these fish’s preferences and environments will lead you to choosing the correct bait that will allow for tons of fresh catches. Another factor to consider is whether these fish will be interested in artificial, natural, or cut bait. Here are the details of each of these types of baits, to help you determine which bait is best for your next fishing trip. An artificial bait is also referred to as a lure, and there are many benefits of choosing this type of bait. First of all, an artificial bait is usually reusable, as long as the last fish you caught hasn’t damaged its integrity. You also have more control over the movement and size of this bait, since you can choose it yourself at a fishing store. Using a fishing lure as your artificial bait is also easier for you as a fisherman because you don’t have to worry about storage. This bait can be thrown into your tackle box, no matter what temperature it’s exposed to. 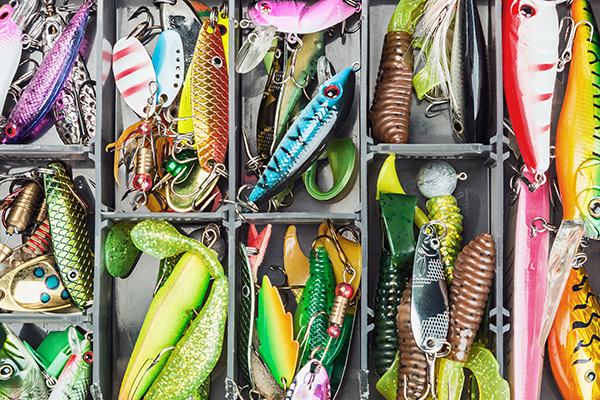 The experts at FishingLicense.org recommend having a few types and sizes of lures on hand in your tacklebox, as needed. One of the tough parts about using an artificial bait is that some fish are just too smart to fall for it. If your target fish is sensitive, it can probably tell right away that this isn’t food. You can sometimes scoot around this problem by rubbing a powder or cream that smells like natural bait onto these lures. Natural bait is obviously a popular choice among fishermen because it’s what fish respond to quickly and frequently. Fish easily recognize either live or dead bait as real fish because of its look, smell, and sometimes its behavior. The team at FishingLicense.org reminds all fishermen that it’s imperative to keep your natural bait at the temperature that’s recommended to prevent spoiling. Live natural bait will also need to be kept in water and contained in a cooler. One of the reasons fishermen consider natural bait to be a hassle is that it’s tough to buy it in advance. You’ll probably need to stop by a bait and tackle shop on your way to the water to pick up your bait for the day. Besides the storage requirements, you’ll also need to figure out a way to conserve the leftover bait, if desired, for your next trip. This may include saving space in your freezer for this bait. If you opt for live bait, it’s important to use creatures that are native to the local ecosystem, and bait that your target fish would be attracted to in the wild. A cut bait is simply a natural bait that’s cut into pieces. Fishermen may opt for cut bait when they’re targeting smaller fish that would probably be overwhelmed by whole bait. Cutting your natural bait into pieces can also help you to conserve your expensive bait, so it’ll last you much longer throughout the trip. Cut bait can sometimes be an even better option for successful fishing because bait that’s been cut gives off even more of a smell to attract fish. Since most saltwater fish are mostly driven by their sense of smell instead of sight, many ocean fishermen will exclusively use cut bait on their outings. The team at FishingLicense.org wants all fishermen to be aware, however, that cut bait can sometimes discourage a target fish from biting since it’s shape and behavior is different from their natural prey. If you’re planning to use cut bait, be sure you use the correct type of bait that’s native to the waters you’re fishing in.